Yongluan Zhou is Associate Professor in the Department of Computer Science at the University of Copenhagen (UCPH). He is co-leading the Data Management Systems Lab (DMS Lab). He serves as the Head of Studes of the MSc in Computer Science. Before joining UCPH, he had been an Associate Professor at the University of Southern Denmark (SDU) and a postdoc at Ecole Polytechnique Fédérale de Lausanne (EPFL). He obtained his PhD in Computer Science at the National University of Singapore (NUS). He also held visiting positions at several international institutes, including the University of Maryland at College Park, the Advanced Digital Sciences Center at the University of Illinois at Urbana-Champaign and INRIA Rennes. His research interests span database systems and distributed systems. His recent research focuses on scalable streaming data processing and graph data processing. He has published over 50 research articles in international journals and conference proceedings. 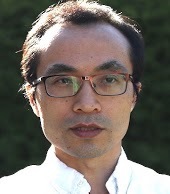 He has served on the Program Committees of various international conferences, including SIGMOD, VLDB, and ICDE. Serves as the Head of Studies of the MSc in Computer Science from April 2019. Paper accepted at EDBT 2019: “Modeling and Building IoT Data Platforms with Actor-Oriented Databases”. Paper accepted at ACM TOCS: “Deca: a Garbage Collection Optimizer for In-memory Data Processing”. Invited to Shanon meeting “Graph Database Systems: Bridging Theory, Practice, and Engineering”. Workshop on Big Graph Analysis Systems was held in Copenhagen on Aug 21-22, 2017 (a brief summary available here). Paper accepted at ACM Computing Surveys: “Graph Processing on GPUs: A Survey”. Paper accepted at TKDE as best of ICDE’2016: “Passive and Partially Active Fault Tolerance for Massively Parallel Stream Processing Engines”. Invited to Dagstuhl Seminar “Big Stream Processing Systems”. © 2019 Yongluan Zhou. Powered by Jekyll & AcademicPages, a fork of Minimal Mistakes.